What a night it was!! 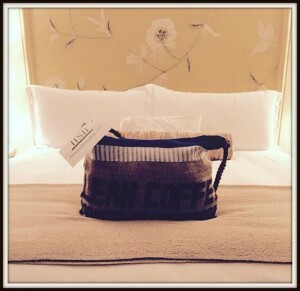 2015 HSB’s Luxury Hotel SAG Nominee Bag as presented in the rooms! 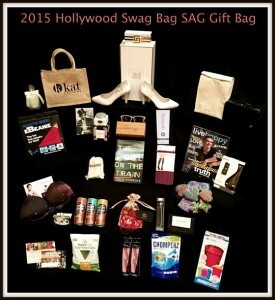 Presenting the 2015 Hollywood Swag Bag Red Carpet Bag in honor of SAG Nominees gifted @ Four Seasons Hotel Beverly Hills. We are thrilled to introduce all of our amazing brand sponsors for this amazing gift bag. Please note we are in no way affiliated with the Screen Actors Guild. Do you have a product you want TV coverage? We have a few spots available for a TV segment next Wednesday on NBC in Arizona for Super Bowl. Do you have a product you want TV coverage? 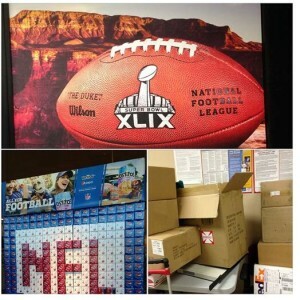 The product must align with Super Bowl! Please contact us ASAP at lisagalbianchi@gmail.com for pricing info. Blake Lively and Ryan Reynolds will soon receive this amazing baby swag for little Violet!! Thank you for all the brands that took part.